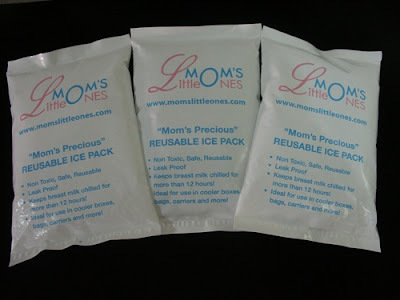 Mom's Precious Reusable Ice Packs are specially designed to keep your precious breast milk chilled at an ideal temperature for longer periods! This precious lil’ helper is unlike any other standard ice packs. Be rest assured that this gel pack has been designed and tested to suit the purpose of breast milk storage. -Keeps breast milk chilled for more than 12 hours! -Ideal for use in cooler boxes, bags, carriers and more! FREE POUCH for each gel pack!! Place ice pack horizontally in freezer for a minimum of 8 hours prior to use. If you are using the gel pack pouch, please remove it before placing the gel pack in the freezer. Air dry it for next use. Do not place in microwave or heat in any way. This item is for cooling purposes only. Not intended for therapeutic use. If bag punctures, discard immediately.